The lovely triple conjunction of The Moon, Venus & Jupiter continues on the morning of the 1st of February. Yesterday, The Moon was between the two more distant planets as can be seen in my images at the bottom of this page. The Moon has now moved more to the East and closer to the horizon, so will be a bit lower in the sky, as well as a sporting a much thinner crescent. 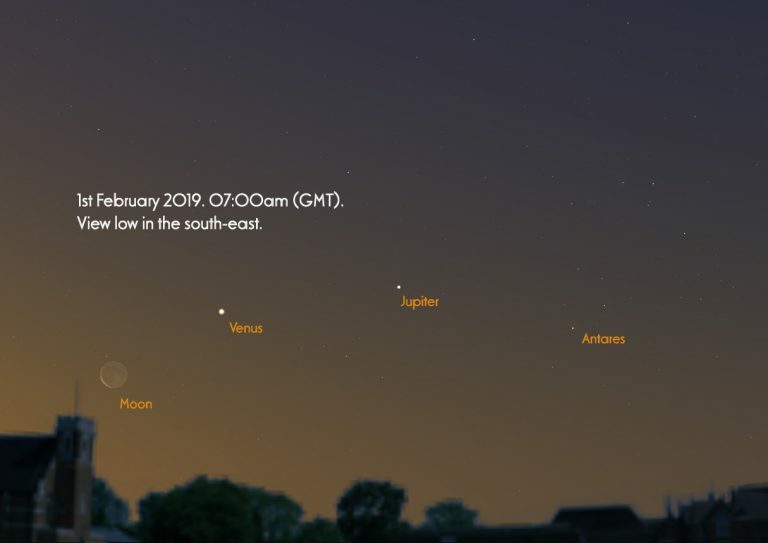 The diagram below shows the view at 07:00am on the 1st for February. Just get out and enjoy the spectacle and start your Friday off with a smile.